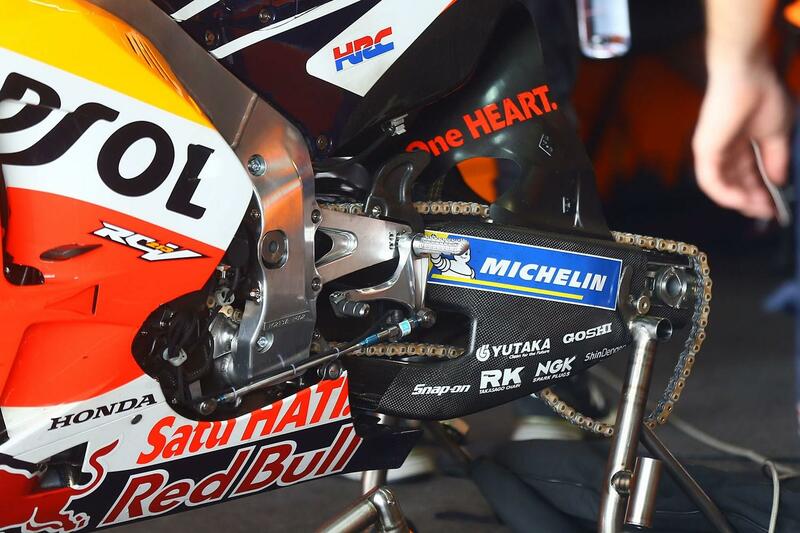 Cal Crutchlow has once again been denied a chance to try Honda’s new carbon fibre swing arm, after the part due to sent his way for yesterday’s Brno test was damaged by test rider Stefan Bradl during this weekend’s Czech Grand Prix. Complaining after the race that it had cost him the ability to sit with fellow Honda rider Marc Marquez as his rear tyre faded and the Spaniard’s didn’t, Crutchlow hit out at Bradl for the mistake that cost him his chance. The Brit also hit out at Bradl and his fellow test riders after the test. The German took Bradley Smith and Maverick Viñales out of Sunday’s race with an ill-fated opening lap overtake, the latest in a series of high-profile crashes involving test riders on wildcard appearances. “I think it’s nice to have a wildcard now and then, but I also look at Casey who is a test rider that has no interest in racing. He’s got no point to prove, and maybe that’s the way to be a test rider. He doesn’t want to race any more, but these other guys think that when they come here to race they’re going to get a job offer at the end of it.